In late 2016, I emailed Patrick McHale. 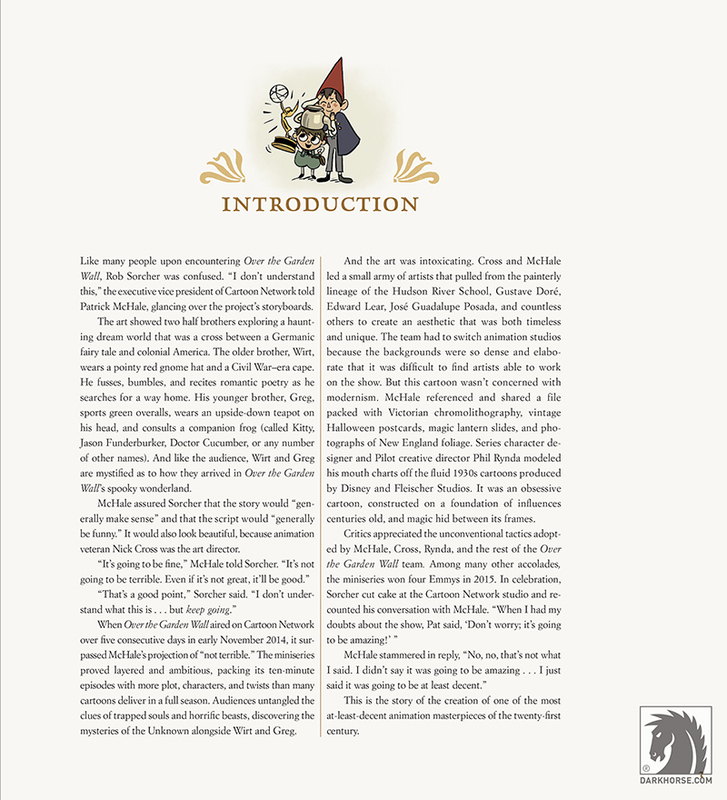 He didn’t know who I was, but I said we should author an art book about of his transcendental Cartoon Network miniseries, Over the Garden Wall. He agreed. And with the help of editor Dan Chabon at Dark Horse Comics, we did. For those unfamiliar, Pat, art director Nick Cross, a street busking live band called The Blasting Company, and a rotating ensemble of talented artists created something special. (Other parties thought so as well—the show won an Emmy in 2015.) 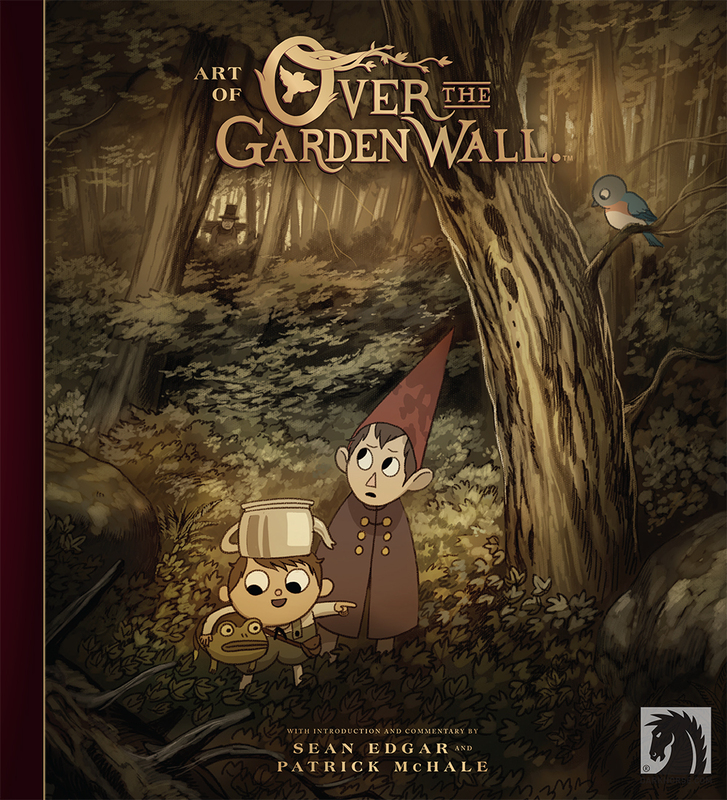 Over the Garden Wall takes its legacy from the hand-painted annals of pioneering ‘30s animation, colonial tavern ghost stories, and ‘80s nostalgia. 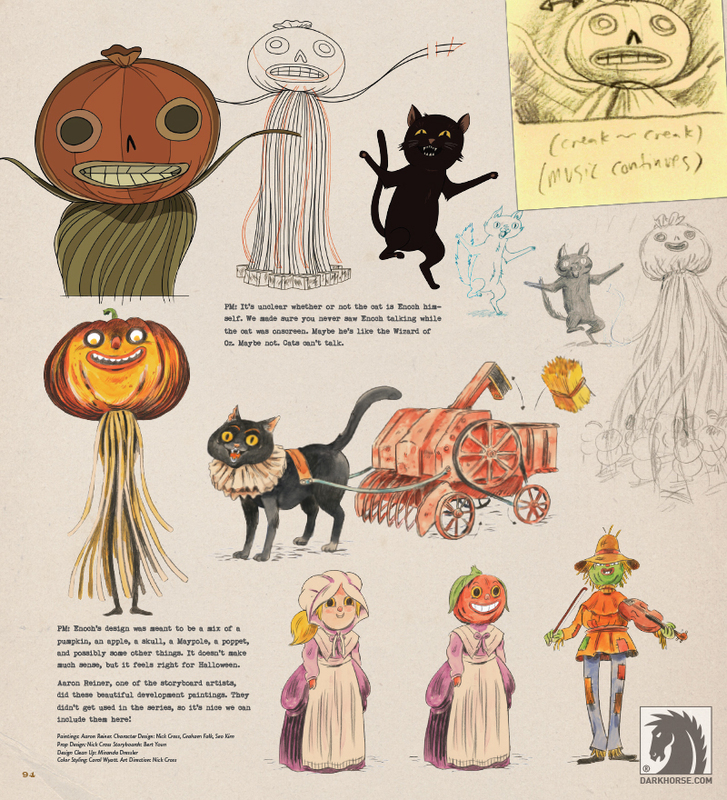 When I proposed an art book, I didn’t solely want to talk about the visuals—every element from the voice acting to the music and title card cut-outs is so carefully executed and fussed with, that I wanted to celebrate every facet of the show. 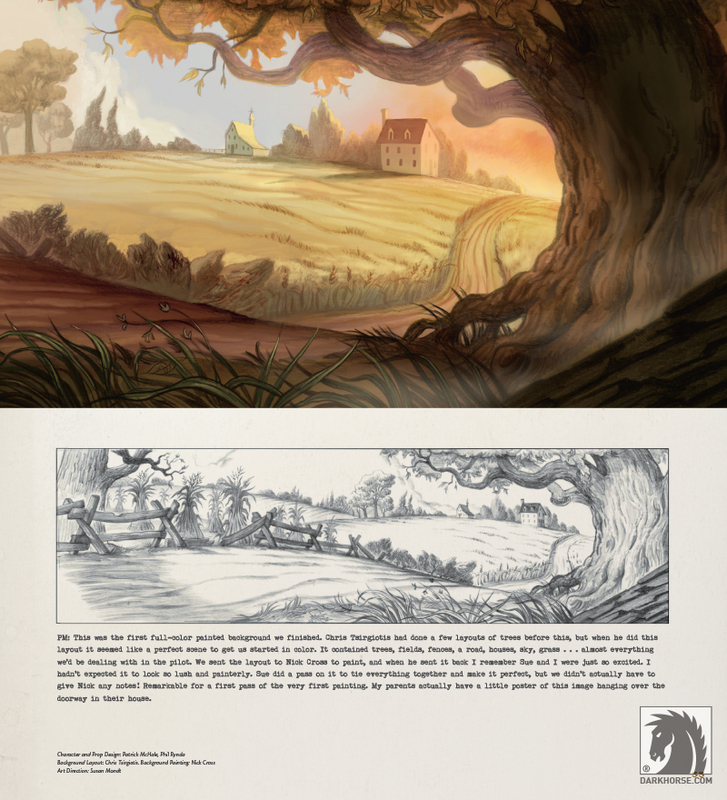 It’s a work about two brothers tripping through a purely American fairy tale, but it’s also the tale of wonderful people making wonderful things in the insufferably early hours of the morning. And alongside the avalanche of doodles and in-process art provided by Pat and Nick, that’s the story I told.